It’s a question I’ve come across a few times while on this project of mine. Can you convert a Coupe into a Fastback? One though would be “Why?” Well with Fastback prices forever going through the roof and the abundance of Coupes it wouldn’t take a genius think of the idea. So let’s explore it a a bit shall we. The short answer of course is yes, it can be done. 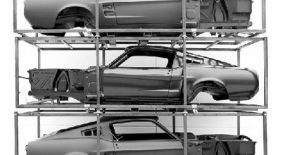 You can convert a 1967 or 1968 Coupe into a Fastback but there are a few things you need to consider. Not having done myself I can’t say exactly how much it costs, but the chances are your not a metal work expert and you will need to have it done by some professionals. So when factoring in the cost of man hours, the work involved, tidying up and the finishing off to make it look like a real fastback you’re probably look at a bit of dough. 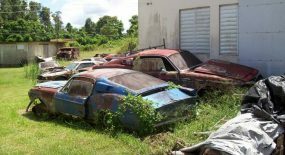 And consider how much you paid for a good rust free (or minimal rust fastback) You may be close to the price of a Dynacorn Fastback body. Almost the cost of a Dynacorn body, why not get one of those? Well you have to remember your coupe will most likely come with all the original Mustang parts whereas the Dynacorn body does not, it’s just that, a body. So add on the cost of an engine, interior, wheels etc. and you find your coupe project looking fairly cheap in comparison. Supply them your coupe and they will do it for a $5000.00 or buy a completed one from them for $8550. Not too bad if your not the purist. which brings me down the VIN. Let’s say you did get one done, it looks great, drives well, is sound and is the envy of all your buddies. But at the end of the day you still have the Coupe VIN# under the bonnet. A tricky one to explain at the next Mustang Club Day. As I said if you’re not the purist then this won’t phase you but when investing so much money into it you might want to consider the resale value. Even if you don’t mind, someone else probably will. So don’t expect Fastback dollars for your car. Overall it’s a great idea if you want a Fastback for half the price and you’re not worried about resale. This of course is just my opinion. I am no metal worker, no Mustang expert, just another fan putting some ideas out there. Check out the before and after photos below or read about what others have to say. Hello, Everyone! I’m new here and I would just to say that I respect everyone one’s personal opinion on the subject. With that already said I would also like to give my own 2 cents about the idea of a converation. 1. 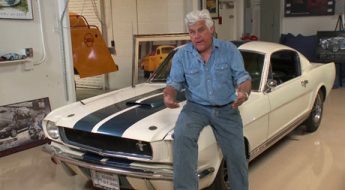 Everyone wants a Mustang Fastback and most people out there are not willing to pay top dollar for them because of the prices they see. 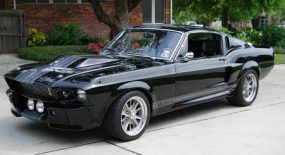 I want a Fastback and I have a 67 Coupe and I would like to convert it because I want a Fastback and I don’t care about the whole “resale” idea because I intend to stay with that car. I like the idea of a “affordable” fastback because it does bring more customers to your door. 2. Who cares about having a “fake” or so called “Clone” Fastback. Really! in the end its your car, its your money and you should use it or spend it on what ever you want it on. Simple as that. I am really considering going to Drake Customs and leaving my coupe there to be converted and all but…I still would like to know alittle more information about the finished product and how it rates against a “real” fastback. I can afford $5,550 dollars and I really enjoy hearing stories about people reaching their goals and or dreams. And if this Ray guy can help me, well…why not? True! But you have no thoughts about selling it, then there should be no problem as long as your not going to sell it. The only important person in this type of decision is you and you alone not the “other” person who is going to be driving it or that one guy who always asks you if your going to sell it or not, no! Keep me posted. I only touched on the subject here but wouldn’t mind following someone through it. I would post up updates on here for all to see. IF YOU NEED A DONER FASTBACK WITH PAPERS FOR YOUR DYNACORN BODY I HAVE A 68 FASTBACK 302 AUTO COMPLETE RUSTY CAR I AM CUTTING THE TOP OFF TO PUT ON MY 67 COUPE. I WILL SELL IT FOR 3500. 518-892-5253. I AM IN ALBANY NEW YORK. DONT do business with these guys. I placed an order and paid $9000 for a car on June 1 2009 and was suppose to have the car by the first week in August. Here it is Nov 20th and I still don’t have the car. Six weeks ago they gave me the excuse they were having problems with the paperwork (Title) for the car but should have it finished by October 15th. Still no car and they don’t return my phone calls. Bryan in right! DO NOT give Drake Customs any of your money. My story is worse. I placed an order with them in January of 2009. They told me my car was “done” in March so I wired the balance. When I asked about delivery I started getting a lot of excuses about titles-blah, blah-and “let me pull your file and call you right back” only to never get a call back. I finally had to drive 5 hours to AZ from CA to actually talk to someone about the car. “We’re working on it. It should be done soon.” Have done that twice now (the second time was to pick up some extra parts I had delivered there to be put on the car). 12 months later, I’m now looking into lawyers to try to get my money back. AVOID AVOID AVOID! I do like the idea, however your coupe, like mine is an original piece, the more we mess with the old cars that are left the more we fukk with the history of the mustang..they made so many with 6 bangers..and so many v-8’s..an so on..there were alot of 67’s produced..but tell me how many are actully left?..The thought of a fastback is kool but when i see a 67 on the road, thats just to kool for school, no matter a fastback or a coupe..they all rock!! are their companies that will convert a coupe to fastback on the east coast? 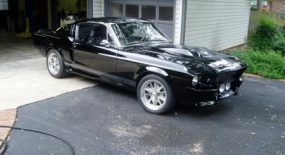 Hi I am starting a coupe to fastback conversion right now. It is on a 65. After I am done, we are going to start another, then take orders I hope. Does anyone have pictures of the conversions? AVOID Drake Customs! Note: they are now going by the name of “Recon Classic Car Bodies and Performance”. My car was supposed to be ready in 3 months but after 21 months of lies, excuses and stall tactics, my patience has run out and I have opened a fraud case with the Arizona Attorney General against them and owner Ray Carmody. At least one other person I know of has also done this. I suspect this is why they’ve recently changed their name because the truth about “Drake Customs” is starting to come out. I have lost $10,181.00 at this point. They refuse to refund my money. According to shop manager Bobby Morris they have taken money from approximately 20-25 customers who are waiting for cars already but they have given us no estimated delivery times. If the AZ Attorney General can’t get my money back I’ll be getting a lawyer. AVOID, AVOID, AVOID Drake Customs, Recon Classic Car Bodies and Performance, Ray Carmody and Bobby Morris! We do conversions and can give some advice for coupe owners that are thinking about this. I know some companies out there do not perform as advertised. That is bad for our industry. The fun is in the driving! 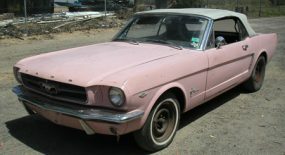 Hi, I want a 67-68 fastback to.turn into the “eleanor” replica but im having difficulty with the cost. A regular 67-68 fastback that runs is.like 20,000$ plus but if I buy a coupe and turn it into a conversion and then a replica later down the road would that be doable? 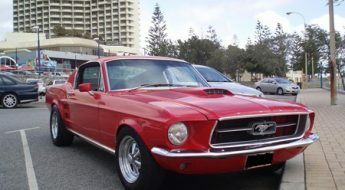 Hi im working to get a 1969 mustang its a coupe for 600 i would like to transform it to the fastback with out spending a lot of money is there a way with out leaving my wallet empty? Hey Guys ! Did anyone tried to transform mustang conv. into fsb ?